We are engaged in offering a wide range of steel castings that are made of high grade steel which are in accordance with international quality standards. These steel castings are highly acknowledged for their great tolerance levels, high performance, durability and high tensile strength properties. 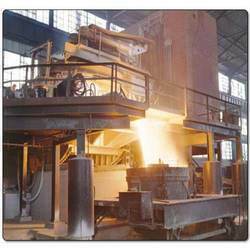 Steel casting is a process, wherein, mold is formed from a sand mixture and molten liquid metal is poured into the cavity in the mold. The products we offer cater to the requirements of engineering goods manufacturing, mining industry, rolling mills manufacturing, gears and gear boxes manufacturing, heavy machining units and auto part industry and our product range includes sand castings, alloy steel casting, low alloy steel casting, alloys casting, copper sand casting and nickel alloys casting. We can customize our range on various parameters before supplying it to our esteemed clients. Looking for Steel Casting ?